When it comes to celluloid heroes, portable tip and roll aluminum bleachers may be overlooked as the unsung stars of all those basketball movies such as Hoosiers, Space Jam, He Got Game and Blue Chips. Why? Because when those raggedy, out-of-shape, bullied players led by that down-on-his luck coach make their comeback and start filling those bleachers, all those fans are obviously going to need a place to sit and cheer. That’s where tip and roll bleachers come in (also known as tip-n-roll bleachers or tip n roll bleachers). These aluminum bleachers can be wheeled easily into any spectator area and instantly provide a place for overflow fans to sit. (Conversely, wheel them out of the spectator area when those star athletes graduate and the down-and-out coach receives an offer from a Big 10 college for a new job that pays him gazillions of dollars). The great advantage of tip and roll bleachers is that you can use them for a variety of occasions. When the basketball team recedes back to a group of hapless, out-of-shape, unmotivated losers. Time to wheel the bleachers out. But over in the music department, little Suzy the singer with the booming voice of a 30-year-old, suddenly becomes a contestant on American Idol and the stands fill up for a different reason. Time to move the tip and roll bleachers into the auditorium. Or, as happens in many boomtown areas, student enrollment swells faster than the school board can build new schools. So extra seating is necessary for EVERY event from assemblies to graduations to sporting activities. Keep the tip and roll bleachers ready. Another big advantage of tip and roll aluminum bleachers is that a facility manager can move them from one area to another as they easily fit through a standard-size door. These handy aluminum bleachers can be relocated with minimal effort by just one or two adults. (However, experts recommend that only authorized adults, not students, should relocate, reposition and stabilize tip and roll bleachers). Storage is always a concern for most facilities, especially those with limited spaces. 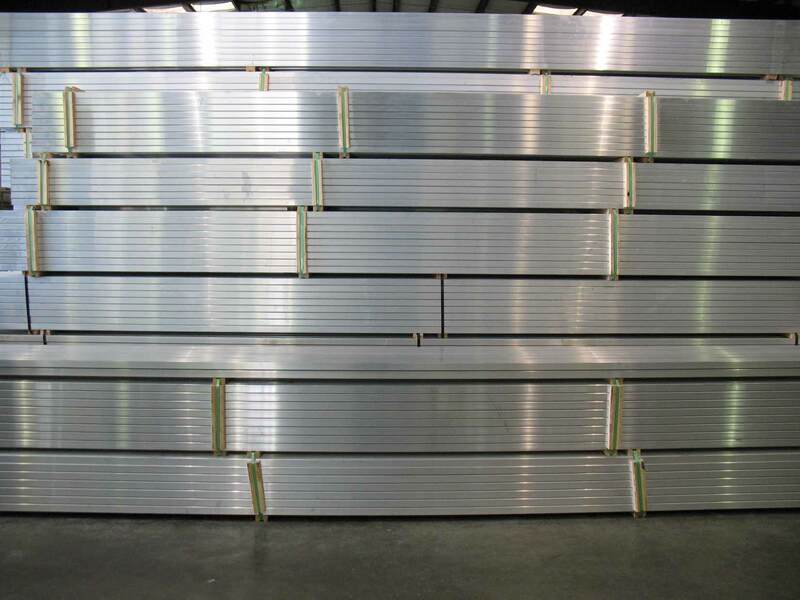 Tip and roll aluminum bleachers are easy to put away – just roll them into a storage area or corner and then roll them out when needed. Moving large objects over floors anywhere is always a concern for facility managers. 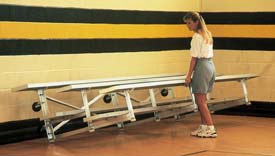 Make sure the tip and roll bleachers come with non-marring, scratch and scuff-resistant padding. And for when those overnight sensations put those athletic directors in a bind overnight, AluminumBleachers.com offers IBC Compliant 3 row tip and roll bleachers that can be quick-shipped in just three days. In just three days, each of these bleacher units(27 feet in length) can accommodate up to 54 extra, excited fans. Unfortunately, when a movie star like Gene Hackman gives his inspirational pep talk to that group of nervous youngsters sitting there in their baggy gym shorts and worn-out sneakers, he’s never going to mention that the facility manager also worked like a champ to get the extra seating necessary to take care of all those newly-found fans. 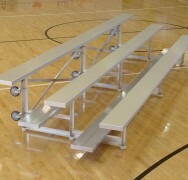 The players are not going to notice the tip and roll aluminum bleachers moved into the corner of the gymnasium or the corners of the football field to accommodate the multitude of screaming spectators. But just like you can’t make a sports movie without heroes, you certainly can’t display cheering crowds in the stands without stands. For a facility manager or athletic department, those tip and roll aluminum bleachers can be the real stars as far as they are concerned. Call our helpful staff for more information. To see a list of the top basketball movies of all time, click here.